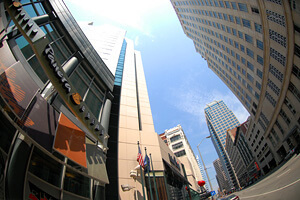 This week from Nov. 11-13, the streets and sidewalks of downtown Indianapolis will be filled with music enthusiasts, artists, educators and students who will be in town for the Percussive Arts Society International Conference (PASIC) and Music for All's Bands of America Grand National Championships. As the hometown of Drum Corps International and the annual DCI World Championships in August, we'll be there for every bit of action along with several of DCI's member organizations, students, staff and directors. Here's a look at some of the events and where to find DCI during all the fun. DCI Headquarters Open House Where: DCI Headquarters, 110 W. Washington St., Suite C When: 9 a.m. to 5 p.m. Highlights: Drum Corps International will open the doors of its world headquarters offering fans guided tours, a chance to check out DCI memorabilia, chat with staff members and even have their photo taken by the legendary World Championships trophy! Browse the latest DCI merchandise and even purchase and take home your copy of the brand new 2010 World Championship DVDs and CDs. Percussive Arts Society International Conference (PASIC) Where: Indiana Convention Center, 100 S. Capitol Ave. When: 9 a.m. to 9:30 p.m. Highlights: PASIC is the largest percussion event in the world featuring more than 150 concerts, educational clinics, master classes, labs, workshops, panels and presentations. • DCI will be one of many exhibitors throughout the expo hall inside the convention center. 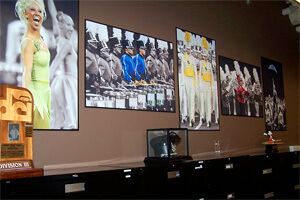 Visit us at booth #312 to watch videos from the 2010 World Championships and to purchase your own DCI DVDs and CDs. Sign up on our fan list and grab collectible DCI decals for your practice pad. Like to play games? Take a hack at our Sponsor Scavenger Hunt and visit 15 different DCI supporting sponsor booths for your chance to be entered for a special prize. educational session on Thursday at PASIC. • Led by staff members Iain Moyer and Colin McNutt, the Cadets' percussion section will be in town to give a special educational session titled A Front Ensemble "Nexus": Links between "Etudes" and "Excerpts" in the 21st Century Front Ensemble beginning at 12 p.m. • Starting in the evening, and with events continuing through Friday, the PASIC 2010 Marching Percussion Festival will feature individual and small ensemble groups competing for top honors. Participants will be judged by a number of Drum Corps International-affiliated staff members, judges and Hall of Famers. PASIC.org Bands of America Grand National Championships – Prelims Where: Lucas Oil Stadium, 500 S. Capitol Ave. When: 11 a.m. to 11:15 p.m. Highlights: More than 90 high school marching bands will compete over three days of competition at the home of the DCI World Championships, Lucas Oil Stadium. • Visit Drum Corps International and several of its member corps near the North Gate of the main concourse inside the stadium. There you can purchase the brand new 2010 World Championship DVDs and CDs and other merchandise. Swing by to learn more about the 2011 drum corps audition season, sign up to be a member of DCI's fan list to receive exclusive news all year long, and walk away with collectible DCI decals for your practice pads, notebooks and instrument cases. MusicForAll.org DCI Board of Directors Meeting Where: Hilton Indianapolis When: 3 p.m. to 10 p.m. Highlights: During the fall and winter months, planning never stops for next year's summer season. 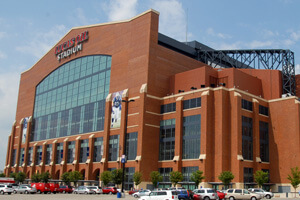 Members of the DCI Board of Directors will meet in Indy over two days to continue preparations for the 2011 DCI Tour.